Installation, takedown, removal, and convenience is what we offer when we say that we have Tulsa Holiday Lights services in this great city. Green Leaf Lawn is here to help you have a worry free holidays. Our installation is absolutely worry free, and each of our employees is highly trained and lighting design techniques to prepare your home or business for the holiday season. We also take care in safety to protect your business and home when it comes time to providing expert Tulsa Holiday Lights. We provide holiday and outdoor decorative lighting to the Tulsa, Oklahoma area and we’ve been doing so for several years. 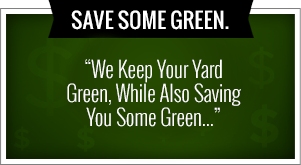 Give us a call to figure out how we can come out and give you a free estimate at 918-640-6405. No matter what size of home or business needs decorating, we can make any size home or business look absolutely fantastic and full of holiday cheer. Our experience, holiday decor designers evaluate and map your property, address your desires and create a lighting and decorating plan that accents the features of your home. We offer full service lighting installation from installation to take down and storage. We also have a wide variety of types of holiday and outdoor lighting expertise that you can take advantage of to really bring in the holiday season with cheer. By using attractive decorations you will be able to create a pleasing environment for you and your guests and neighbors. Each installation that we perform is unique and we try and address the features that are specific to your property and your needs. We carefully review your property, identify possible location for lighting, and discuss all of these combinations with our customers. Installation and takedown can be scheduled at a time that is convenient for you and our friendly installation crews will handle everything to make the process worry free. With us, you get the benefit of years of landscaping experience of skilled landscape designers and maintenance workers. We will work with you from the start of your landscape project up until the end. Listening to your preferences and concerns, providing our skilled guidance, implementation through, and everything else will make a successful landscaping project that you can be proud of. 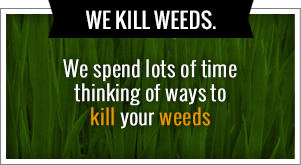 Give us a call today or visit our website at www.greenleafweedcontrol.com for more information on our company and what we can do for your home and lawn. We work one-on-one with all of our clients to design and build every aspect of residential and commercial landscaping including hard scapes, lawn care, lawn maintenance, water features, landscape design, and aerating. It’s time to get the experts in your corner to make sure that your lawn is more beautiful than ever year-round. We would love to be your care provider of choice and give your home the finished look that you’ve always wanted for it.